There’s no better way to cool off than to sink into the clear waters of an Illinois water park. Hours and hours of fun for water lovers of all ages can be found. 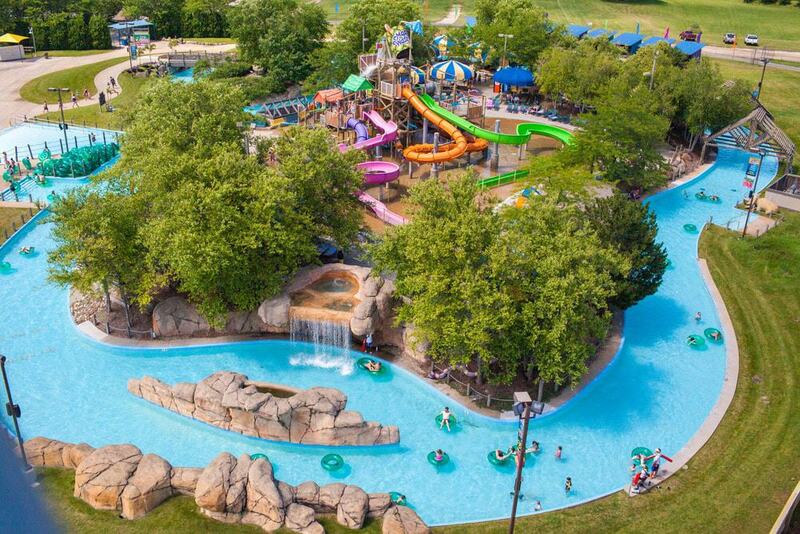 Whether you’re looking for action packed, heart pounding, hair raising thrills, rafting rides, relaxation on the lazy river, or a splashing good time for the kids, these waterparks have it all! Featuring a host of wild rides, thrilling slides, and a giant wave pool, Magic Waters will keep you cool and entertained for hours. The website features all the rides at the park and has videos of each as well as a thrill rating system so you know what to expect ahead of time. Plunge into the black tunnels of the abyss, drop over seventy five feet on the Double Dare Drop, speed down five stories of the Tropical Twisters, get ready to scream on the Typhoon Terror. The Little Lagoon is a great place to cool down with the youngest water park lovers. Tiki Island is a massive complex for kids of all ages. You can’t miss the giant pineapple water bucket that dumps a thousand gallons of water from above! The park also features a lazy river and Tsunami Bay, Illinois’ largest wave pool.